I’ll be doing a post dedicated to The Savvy Cook soon so you can get more info! But just a quick outline – it’s all vegetarian recipes with lots of vegan/gluten-free variations throughout. The recipes are easy to make, everyday-style recipes (over 120 of them!!!) 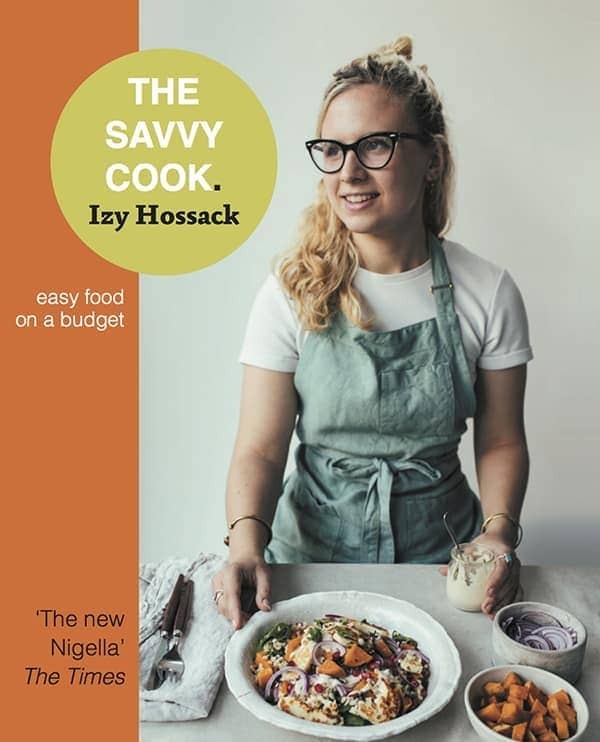 and there’s a mixture of savoury & sweet recipes throughout. I’m also going to be coming to New York for the US launch so watch out for event announcements on here or my social media (same goes for London!). Plus if anyone has ideas for where I should eat/what I should do in NYC (book-wise + also visiting-wise) let me knooow please!! I’ve been drinking a hell of a lot of tea lately, mainly because of the fact I’m in full on revision mode and tea breaks are the main thing keeping me sane. So along with all that tea, I’ve been needing some good revision snacks. 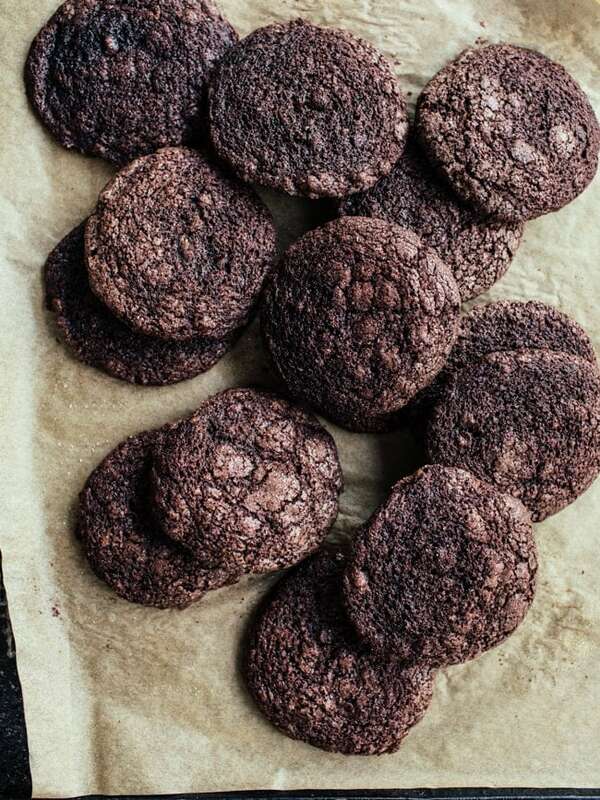 Dudes, the brain runs on glucose so you know what that means – cookies are ideal revision snacks!? 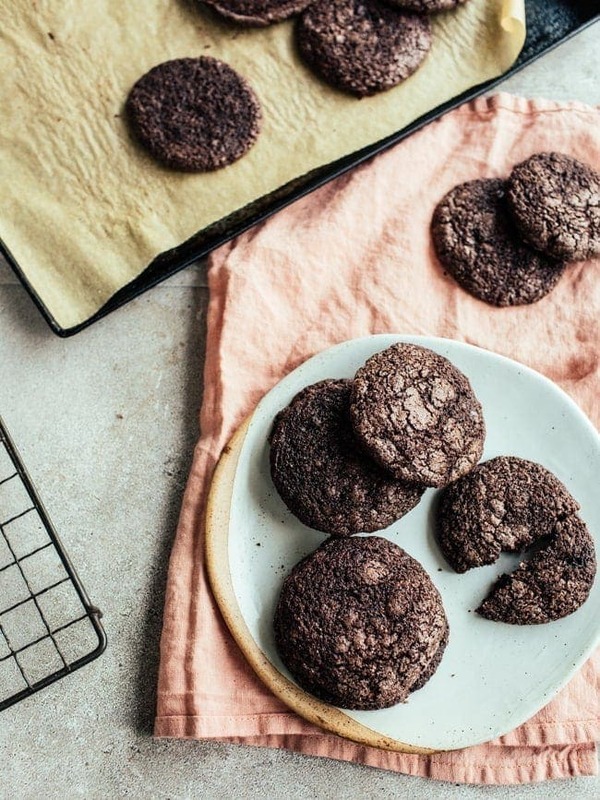 These chocolate sugar cookies from Sarah’s mouth-watering cookbook, The Vanilla Bean Baking Book*, are ideal at the moment. 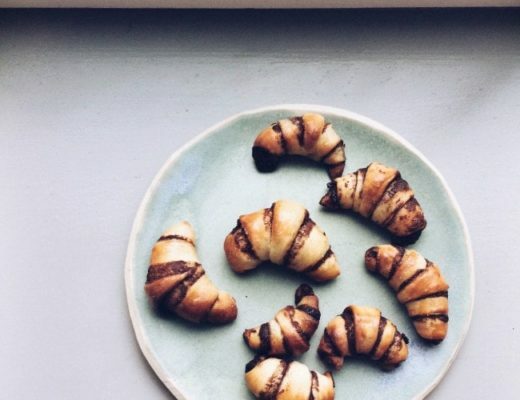 They’re a little crispy, a little chewy, and a whole lot chocolatey! I wanted to be a bit extra when making them so I also stirred mini chocolate chips into the cocoa-based dough to double up that chocolate hit. 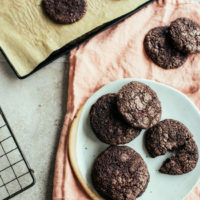 The best thing about these cookies is that, by rolling the dough in sugar before baking, you get a sparkly, crispy crust on the finished cookies. It just makes them extra special and, in my opinion, is much nicer than when you get those chocolate cookies rolled in powdered sugar – I’ve ended up inhaling that powdered sugar before and I can say that lungs do not like that v. much. The dough comes together easily (I mixed it up by hand) and also keeps in the fridge for a few days (which I like because then I can spend 10 minutes more having a tea break waiting for cookies to bake hahah). If you do decide to chill the dough to use later just shape it into a log and wrap in cling film. Then you can cut off portions later when you want to bake! Adjust an oven rack to the middle position. Preheat the oven to 350°F. Line two baking sheets with parchment paper. In the bowl of a stand mixer fitted with a paddle, beat the butter on medium until smooth. Add the 1¾ cups sugar and beat on medium until light and fluffy, 2 to 3 minutes. Add the egg and vanilla and beat on medium until combined. Add the flour mixture and chocolate chips and beat on low until just combined. Place the remaining 1 cup of the sugar in a medium bowl. Form the cookies into 3-ounce (85 g) balls (a scant ⅓ cup each). Roll each ball in the sugar and place 6 cookies on each prepared sheet pan. Bake one sheet at a time 11 to 14 minutes, until the edges have set and the centres are puffed and starting to crackle. Congrats on the book! will there be a digital version? Is your book available in the UK or only US? I can’t wait to make this so delicious looking cookies!!! Thank you for a great recipe. Hi! These look so yummy! I have a question though. If I want to make mini cookies how big should I make them?